Biography: Prof. Amanda Ellis graduated with a Ph.D (Applied Chemistry) from the University of Technology, Sydney in 2003. After two postdocs in the USA, including Rensselaer Polytechnic Institute and New Mexico State University she secured a prestigious Foundation of Research Science and Technology Postdoctoral Research Fellowship at Industrial Research Ltd (now Callaghan Innovations). In 2006 Amanda commenced at Flinders University as a teaching/research academic in Chemical and Physical Sciences. During this time she became a full professor and acting Associate Dean of Research for the Faculty of Science and Engineering. In May 2017 she joined the Chemical Engineering Department at the University of Melbourne. She has secured over $20 M in funding from the ARC and non-ARC sources on projects involving novel polymer coatings, functionalised carbon nanotubes and graphene, microfluidics, genotyping and DNA nanotechnology. 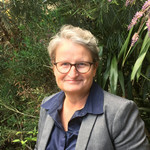 She was an ARC Future Fellow (2014-2018), and is currently a Board member of the Royal Australia Chemical Institute (RACI) and a current College of Experts MCPE panel member. Biography:Prof Lewis joined Flinders University in 2009 in a joint appointment with the CSIRO Future Manufacturing Flagship, as Flagship Fellow. Over his career, David has delivered over 20 Plenary and Invited Lectures at International meetings, editied two conference proceedings, authored over 60 papers and is an inventor on over 50 granted patent families. Daivd received his PhD from the University of Queensland in 1986 and did a postdoc at Virginia Tech in the USA and subsequently joined the IBM T.J.Watson Research Centre in NY in 1988. In 1998, David returned to Australia in a research management role with SOLA Optical (now Carl Zeiss Vision), based in Adelaide, which led to senior R&D Management roles, including managing the Discovery and Innovation function. Biography: Professor Darren Martin is the Chief Scientific Officer for start-up company TenasiTech Pty Ltd, which is commercialising a polymer nanocomposites platform as applied to large polyurethane and acrylic polymer markets and applications. TenasiTech is the first Queensland start-up to receive Commercialisation Australia funding; has won the prestigious iLab Prize in the national Enterprize Competition; and received the 2010 UQ EAIT Commercialisation award. Professor Martin’s research operates at the nexus of three key themes; (1) Strong fundamental materials science with global benchmarking; (2) Safe biomaterials and nanomaterials; (3) Scalable advanced manufacturing. His efforts in these areas during the past two decades have contributed to two successful start-ups, numerous products and a strong platform for globally competitive nanocomposites innovation. Biography: Professor Ramesh K. Agarwal is the William Palm Professor of Engineering in the department of Mechanical Engineering and Materials Science at Washington University in St. Louis. From 1994 to 2001, he was the Sam Bloomfield Distinguished Professor and Executive Director of the National Institute for Aviation Research at Wichita State University in Kansas. From 1978 to 1994, he was the Program Director and McDonnell Douglas Fellow at McDonnell Douglas Research Laboratories in St. Louis. Dr. Agarwal received Ph.D in Aeronautical Sciences from Stanford University in 1975, M.S. in Aeronautical Engineering from the University of Minnesota in 1969 and B.S. in Mechanical Engineering from Indian Institute of Technology, Kharagpur, India in 1968. 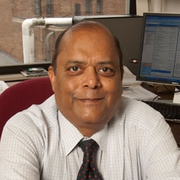 Over a period of forty years, Professor Agarwal has worked in various areas of Computational Science and Engineering - Computational Fluid Dynamics (CFD), Computational Materials Science and Manufacturing, Computational Electromagnetics (CEM), Neuro-Computing, Control Theory and Systems, and Multidisciplinary Design and Optimization. He is the author and coauthor of over 500 journal and refereed conference publications. He has given many plenary, keynote and invited lectures at various national and international conferences worldwide in over fifty countries. Professor Agarwal continues to serve on many academic, government, and industrial advisory committees. Dr. Agarwal is a Fellow eighteen societies including the Institute of Electrical and Electronics Engineers (IEEE), American Association for Advancement of Science (AAAS), American Institute of Aeronautics and Astronautics (AIAA), American Physical Society (APS), American Society of Mechanical Engineers (ASME), Royal Aeronautical Society, Chinese Society of Aeronautics and Astronautics (CSAA), Society of Manufacturing Engineers (SME) and American Society for Engineering Education (ASEE). He has received many prestigious honors and national/international awards from various professional societies and organizations for his research contributions. Biography: Rongkun Zheng obtained his BSc in Physics from Shandong University in China in 1999 and his PhD in Physics from the Hong Kong University of Science and Technology in 2004. 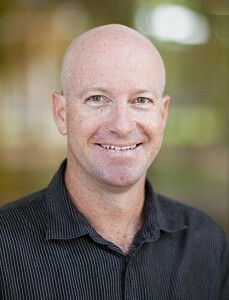 He joined the University of Sydney in late 2004. He currently is an Associate Professor at the School of Physics. His research interest span from Condensed Matter and Materials Phyiscs, Microscopy and Microanalysis, Nanomagnetism and Spintronics, to 1D and 2D Nanostructures, with focus on the Structure-Property relationships in functional materials. Ha has published more than 130 papers and has received over 5000 citations. He has received a number of awards, including an ARC fellowship, and has been invited to national and international conferences in his field. Copyright © The 5th International Conference on Smart Material Research | ICSMR2019 | All rights reserved.